The 2019 Ford Super Duty F-250 SRW's1 standard sunroof lets the light in on even the gloomiest day. Sadly, the 2019 Chevrolet Silverado 2500HD's2 sunroof will cost you extra. The 2019 Ford Super Duty F-250 SRW's5 active Blind Spot Monitoring System warns you when a vehicle enters your blind spot, a little more peace of mind as a standard feature. Want that extra security on the Silverado 2500HD? Blind Spot Monitoring isn't standard on the 2019 Chevrolet Silverado 2500HD, so it will cost you. Want more power and higher top speeds? Consider the 2019 Ford Super Duty F-250 SRW3, boasting 5 more horses than the 2019 Chevrolet Silverado 2500HD4. If you're carrying considerable cargo, the 2019 Ford Super Duty F-250 SRW's3 increased torque - 9353 lb.-ft. vs. 9104 lb.-ft. - can mean the difference between easy going and a sluggish ride. 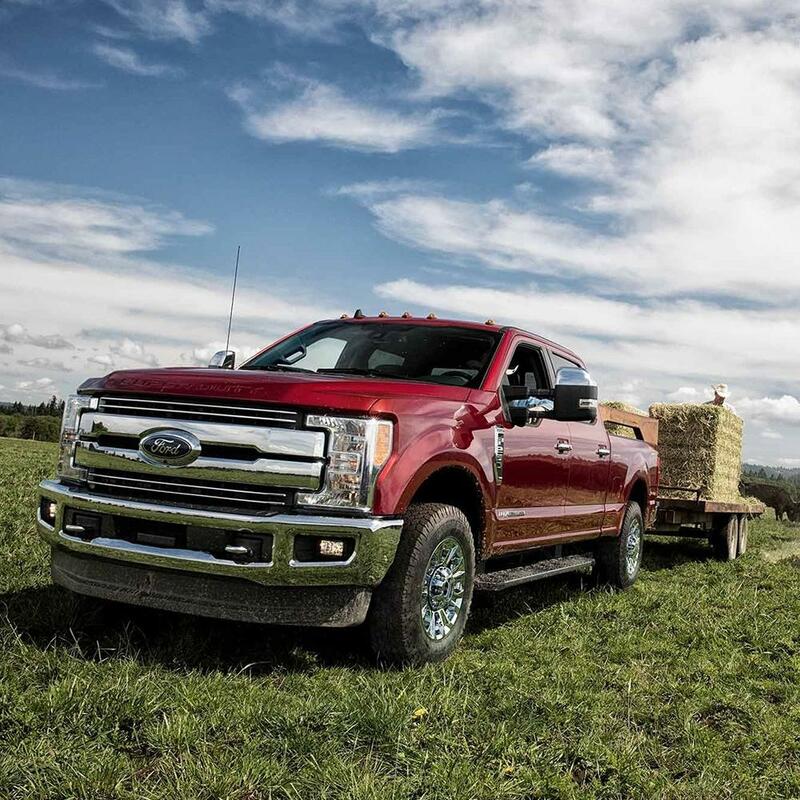 No matter what you're stowing, from groceries to gardening gear, the 2019 Ford Super Duty F-250 SRW's3 increased storage volume means you'll have more room for all your stuff, from apples to zinnias, and everything in between. The 2019 Ford Super Duty F-250 SRW's3 wider wheelbase can mean greater stability. How much more stability? A noteworthy 9 inches' worth. The 2019 Ford Super Duty F-250 SRW3 is so confident in their materials and workmanship, they'll pay for the cost of perforation repairs for 2 years longer than the 2019 Chevrolet Silverado 2500HD4 - quite a consideration for drivers who live in climates where corrosion is a risk. The 2019 Ford Super Duty F-250 SRW3 is priced at $4,450 less than the 2019 Chevrolet Silverado 2500HD4 - that's some pretty sizable savings. The 2019 Ford Super Duty F-250 SRW's1 standard sunroof lets the light in on even the gloomiest day. Sadly, the 2019 Ram 2500's2 sunroof will cost you extra. 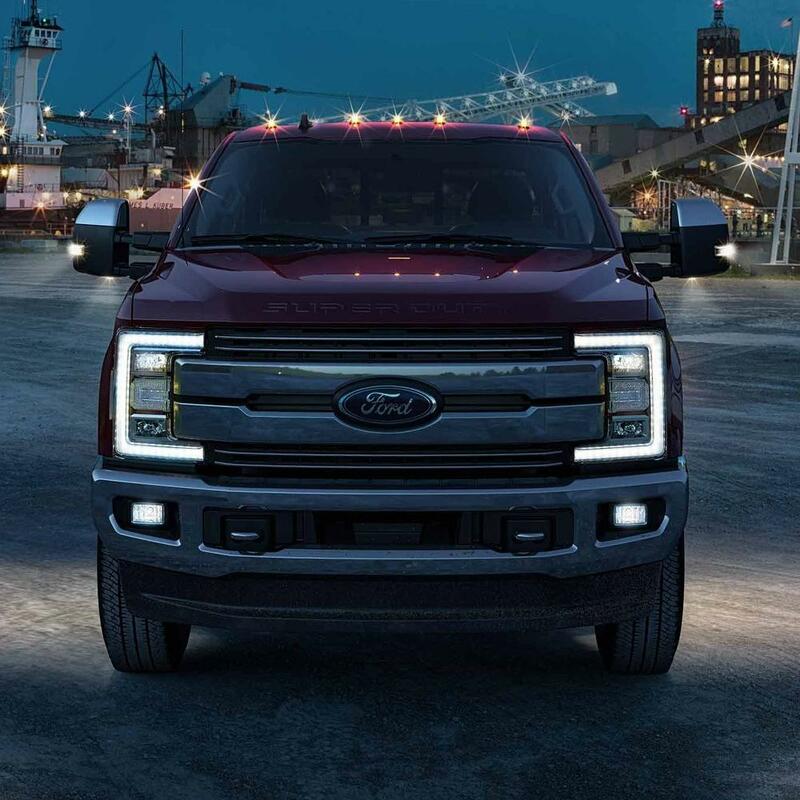 If your vehicle begins to drift out of its lane, the Lane Departure Warning System, standard on the 2019 Ford Super Duty F-250 SRW1, will sound an alarm. This extra layer of safety isn't standard on the 2019 Ram 2500, so if you want it, you'll have to pay extra. Want more power and higher top speeds? Consider the 2019 Ford Super Duty F-250 SRW3, boasting 40 more horses than the 2019 Ram 25005. 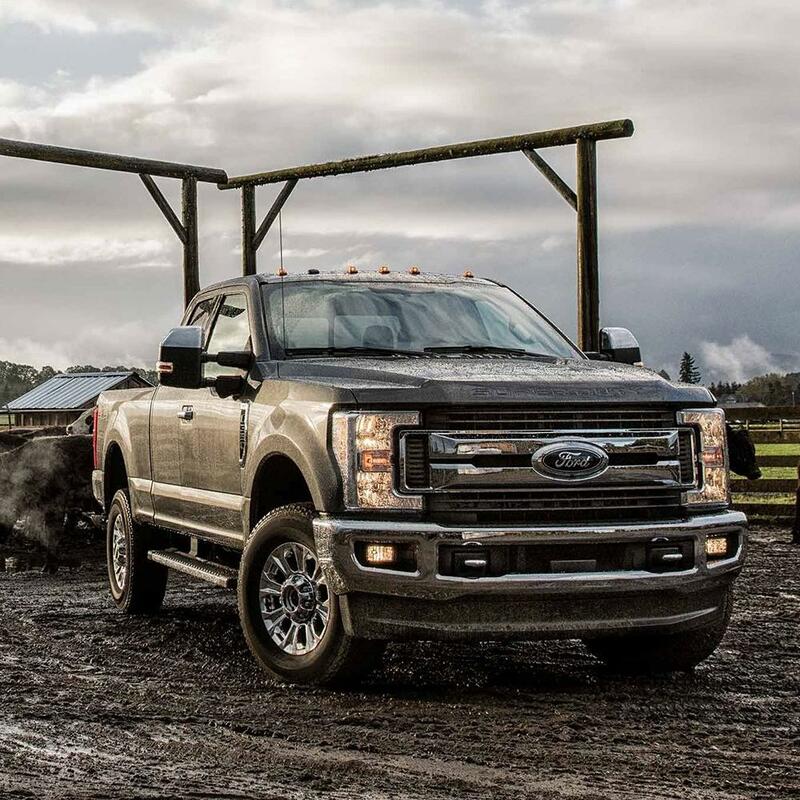 Reap the powerful advantages of the 2019 Ford Super Duty F-250 SRW's3 more than 400 horsepower: better performance and towing, and even better fuel economy. If you're carrying considerable cargo, the 2019 Ford Super Duty F-250 SRW's3 increased torque - 9353 lb.-ft. vs. 8504 lb.-ft. - can mean the difference between easy going and a sluggish ride. Even an increase of just an inch or two in wheel base can mean more stability, and the 2019 Ford Super Duty F-250 SRW3 has 2 more of those stability-increasing inches. 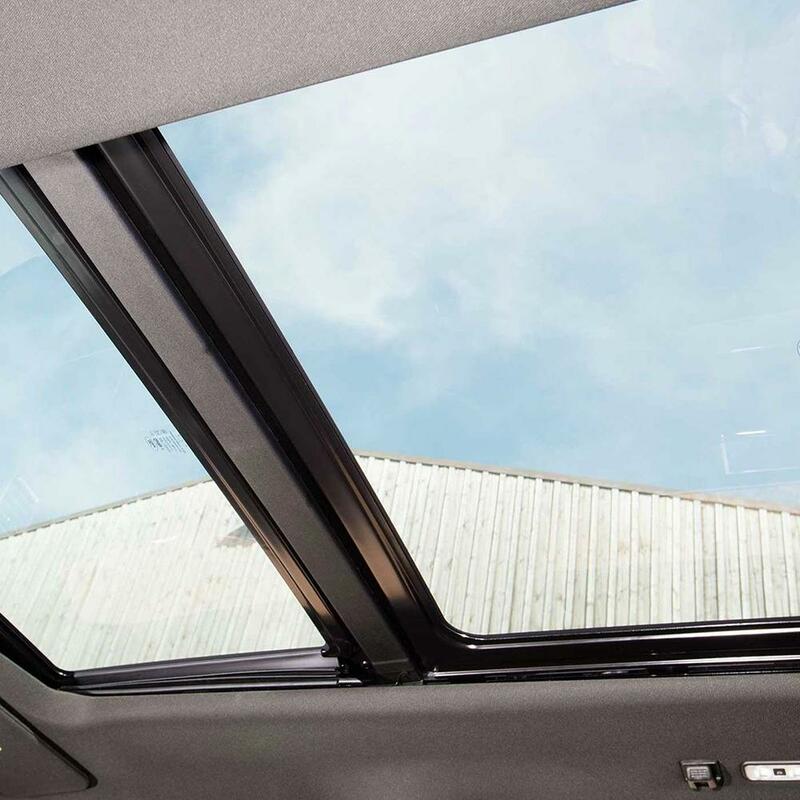 The 2019 Ford Super Duty F-250 SRW's1 standard sunroof lets the light in on even the gloomiest day. Sadly, the 2019 GMC Sierra 2500HD's2 sunroof will cost you extra. 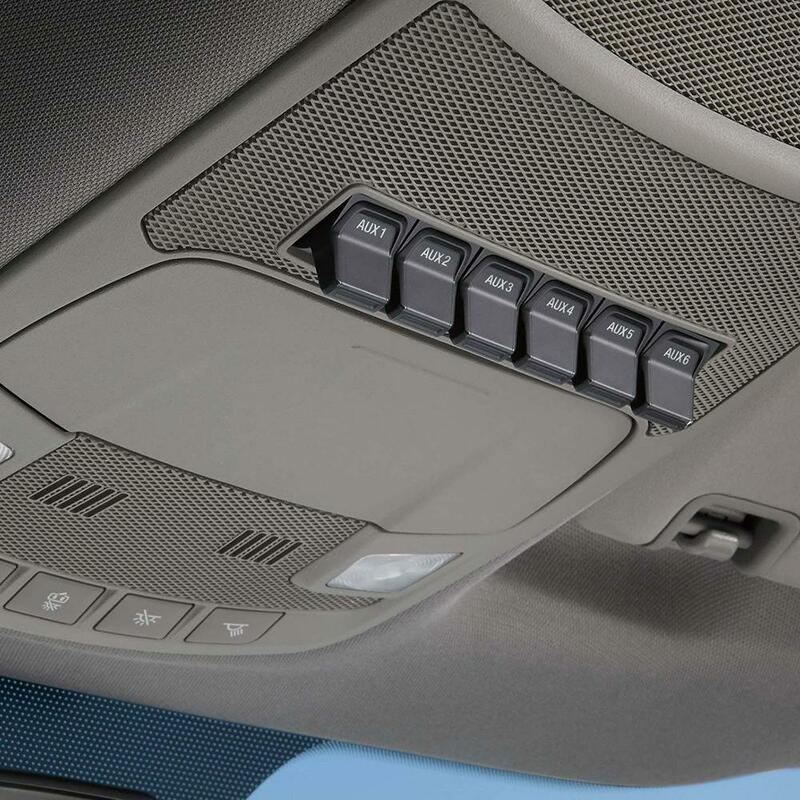 The 2019 Ford Super Duty F-250 SRW's5 active Blind Spot Monitoring System warns you when a vehicle enters your blind spot, a little more peace of mind as a standard feature. Want that extra security on the Sierra 2500HD? Blind Spot Monitoring isn't standard on the 2019 GMC Sierra 2500HD, so it will cost you. Want more power and higher top speeds? Consider the 2019 Ford Super Duty F-250 SRW3, boasting 5 more horses than the 2019 GMC Sierra 2500HD4. The 2019 Ford Super Duty F-250 SRW3 is so confident in their materials and workmanship, they'll pay for the cost of perforation repairs for 2 years longer than the 2019 GMC Sierra 2500HD4 - quite a consideration for drivers who live in climates where corrosion is a risk. The 2019 Ford Super Duty F-250 SRW's1 standard sunroof lets the light in on even the gloomiest day. Sadly, the 2019 Nissan Titan XD's sunroof will cost you extra. 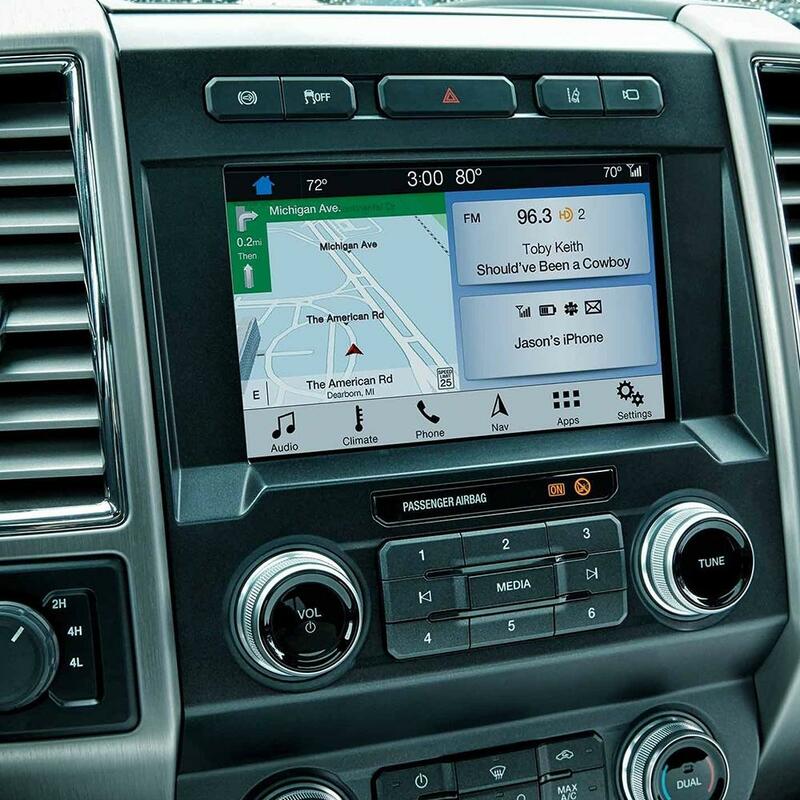 If your vehicle begins to drift out of its lane, the Lane Departure Warning System, standard on the 2019 Ford Super Duty F-250 SRW1, will sound an alarm. 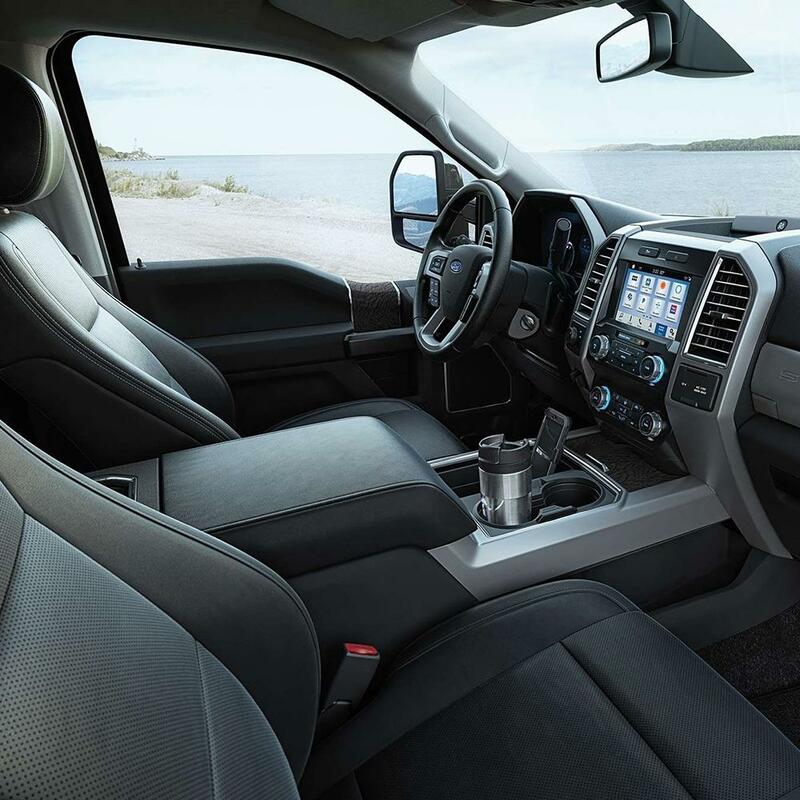 This extra layer of safety isn't standard on the 2019 Nissan Titan XD, so if you want it, you'll have to pay extra. Want more power and higher top speeds? Consider the 2019 Ford Super Duty F-250 SRW2, boasting 60 more horses than the 2019 Nissan Titan XD4. 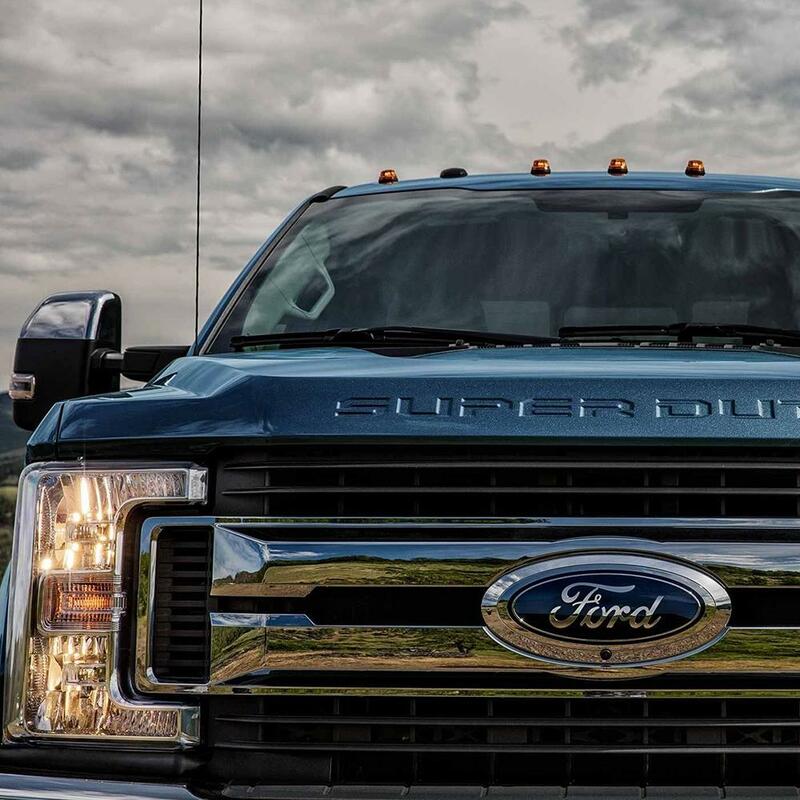 Reap the powerful advantages of the 2019 Ford Super Duty F-250 SRW's2 more than 400 horsepower: better performance and towing, and even better fuel economy. If you're carrying considerable cargo, the 2019 Ford Super Duty F-250 SRW's2 increased torque - 9352 lb.-ft. vs. 5553 lb.-ft. - can mean the difference between easy going and a sluggish ride. The 2019 Ford Super Duty F-250 SRW's2 $660-lb. increase in towing capacity over the 2019 Nissan Titan XD5 means you'll be able to tow just about anything, for the job site or for a weekend fishing trip. The 2019 Ford Super Duty F-250 SRW's6 tighter turn radius means more agile maneuvering and easier parking. The 2019 Ford Super Duty F-250 SRW's2 wider wheelbase can mean greater stability. How much more stability? A noteworthy 3 inches' worth. 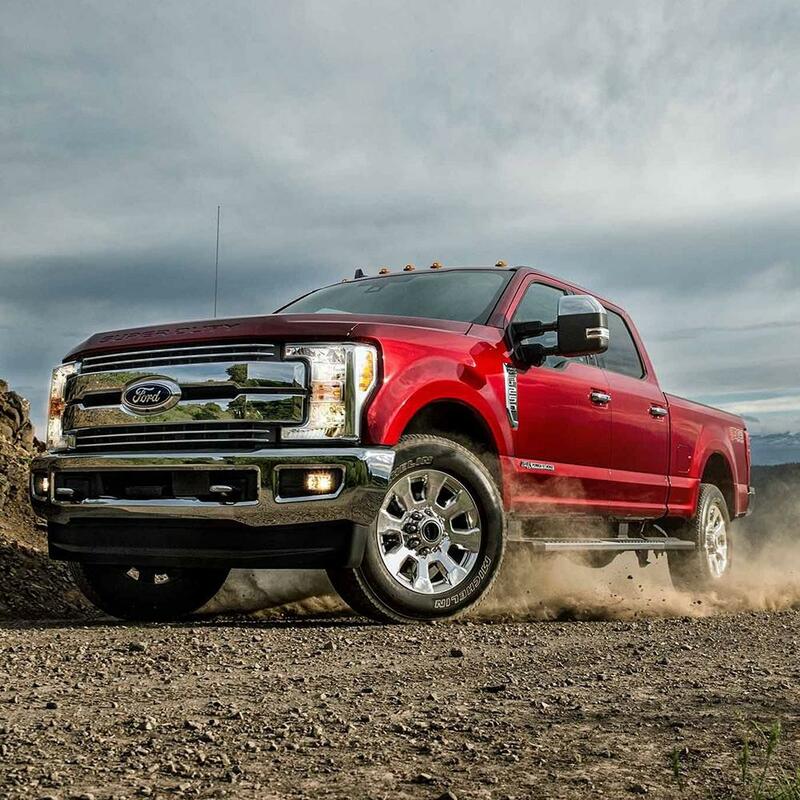 In the very unlikely event you'll need it, help is just a phone call away, 24 hours a day, 7 days a week, with the 2019 Ford Super Duty F-250 SRW's2 Roadside Assistance, standard for 2 years longer than 2019 Nissan Titan XD4.